If the humid summer weather has been making it a challenge to have a good hair day, pick up a few products from the new Tecni.ART hair care line from L'Oreal. The 16-piece collections-addressing five major hair concerns-has been used by everyone from the models at Fashion Week to a bevy of Hollywood starlets. 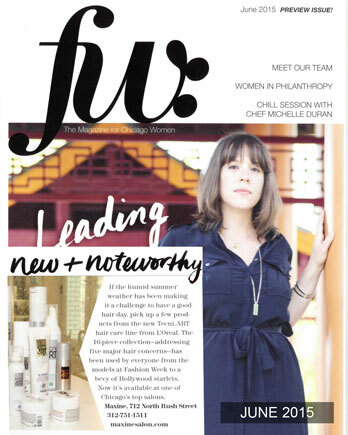 Now it's available at one of Chicago's top salons.